Just when you are finally free from daily matters and decide to crash in your armchair with a hot mug of coffee and your favorite songs playing on the iPhone Music app that the dreaded error “iTunes item not available and Can’t be Played” flashes on your iPhone screen. There goes your plan for spending time in a serene environment. However, this shouldn’t get you down as many Apple consumers receive such messages when downloading and playing songs through the Apple Music app. In fact, a quick look on discussion forums as well as twitter will show you many instances of such errors. What Causes the iTunes Item not Available issue? Although, the problem varies from users to user but according to different forums, the problem escalates when the users update their iOS device to the latest version. Whether there is an iOS bug that causes the problem or some authentic server issue – the reason is hard to identify. The good news is that the problem can be resolved easily and if you also don’t want to disrupt your equilibrium due to iTunes issue, then follow the steps below. The iCloud Music Library and the Apple Music app only work when a strong internet connection is available. Before working on the tips to resolve the issue, make sure your internet is working without any glitch and the speed is sufficient for the music apps. Many times the iCloud Music Library becomes disabled automatically resulting in the inability to download songs from the app. The song list may be showing on your mobile screen but since the feature is turned off, you are not able to download them. 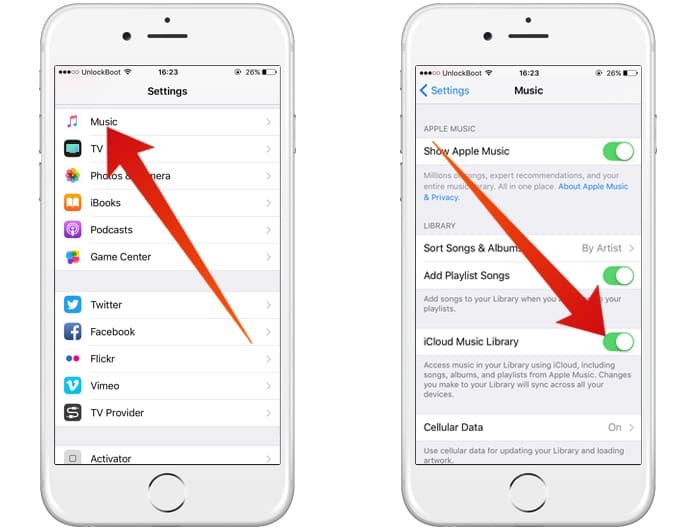 To check whether the iCloud Music Library is on or off, go to Settings and then Music. Mac users to visit Menu > iTunes > Preference while Windows PC users are instructed to go to Menu > Edit > Preference. Sometimes the servers of Apple company are down resulting in “The item cannot be played” error. 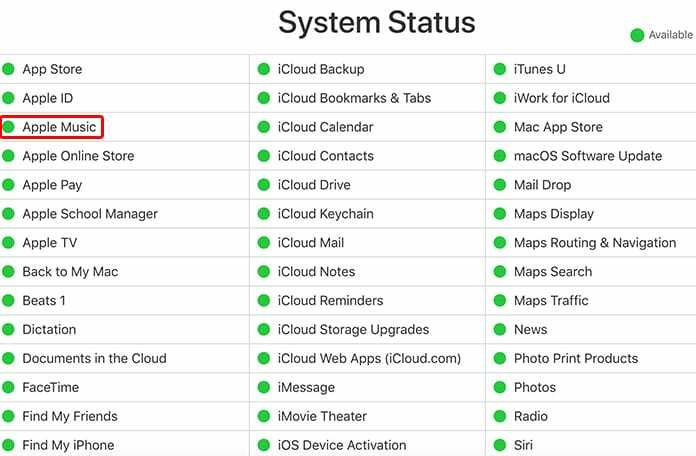 Check server status of the Apple website to ensure that their servers are functioning properly. 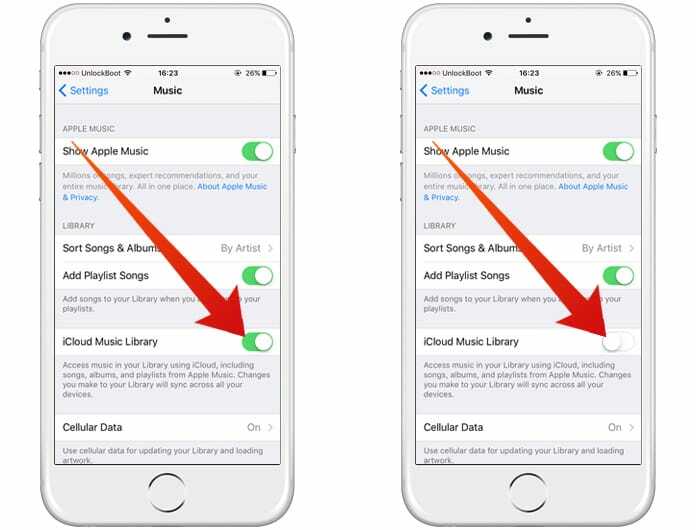 Turn off the Apple Music and iCloud Music Library and restart to resolve the issue. 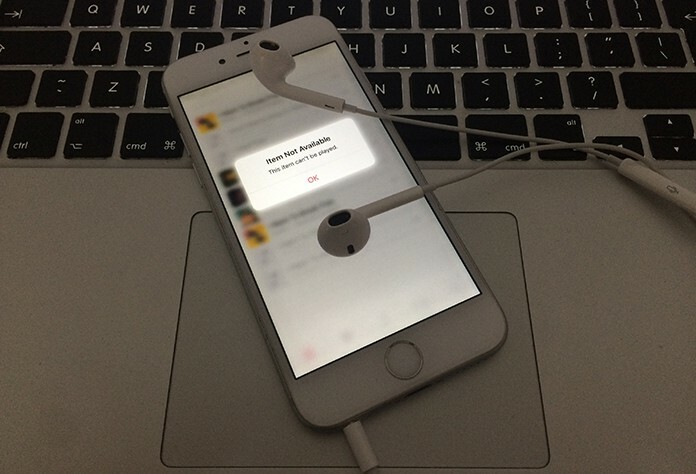 Some users also suggest re-syncing all songs from computer to your device in order to fix the problem. If the above tips don’t work and you continue seeing the error on your iPhone or iPad, then as a last resort, contact the Apple Company for further assistance. You can also send the technical support team a tweet @AppleSupport via Twitter. Of course, music lovers will not stop at anything nor let some computer error ruin their moment. There are many alternatives to the Apple Music app such as Spotify. If the official music apps of Apple gives up on you and the tips above don’t work well, then don’t worry. Simply download any other music app from the Apple Store and enjoy the beats.